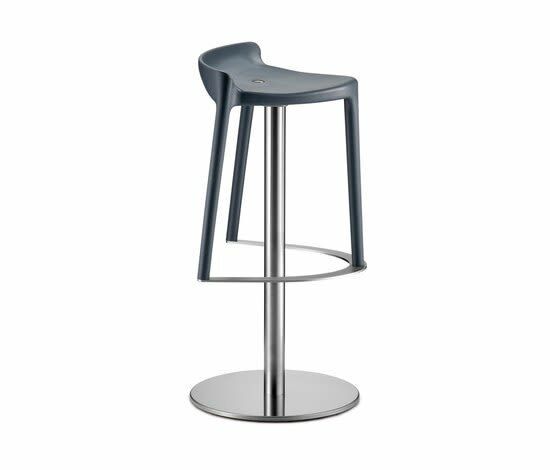 Happy barstool with brushed stainless steel central base. Swivel, with automatic return mechanism and sand-blasted steel footrest. Seat height 770 mm. Happy stools, unconventional sittings family, multipurpose stool in 3 different versions. Made of polypropylene, stable and strong but lightweight at the same time. Stackable and versatile, it is also suitable for outdoor use. Six colours available.